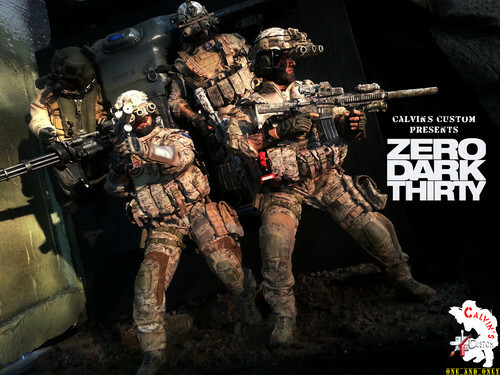 Calvin's Custom one sixth scale ZERO DARK THIRTY diorama. Calvin's Custom one sixth scale ZERO DARK THIRTY diorama. HD Wallpaper and background images in the pelikula club tagged: movie zero dark thirty one sixth calvin's custom. This pelikula fan art contains manganganyon, green beret, mga espesyal na pwersa, pili kawal, navy seal, and seal. There might also be panlabang uniporme, fatigues, and uniporme.